This week's Vikki's Musing is about my favorite video game genre, survival horror. Survival Horror - is a subgenre of action-adventure video games inspired by horror fiction. Although combat can be a part of the gameplay, the player is made to feel less powerful than in typical action games, because of limited ammunition, health, speed, or other limitations. The player is also challenged to find items that unlock the path to new areas, and solve puzzles at certain locations. Games make use of strong horror themes, and the player is often challenged to navigate dark maze-like environments, and react to unexpected attacks from enemies. I first fell in love with Survival Horror while playing the game Resident Evil. I always liked games with puzzles and at the time I was obsessed with Myst and the like. Then I picked up Resident Evil and the rest was history. Resident Evil had fantastic puzzles and that first moment when you meet a zombie down the hallway in the mansion was perfectly done. Ever since then I was obsessed with zombies and survival horror games. I have been searching for fantastic survival horror games. 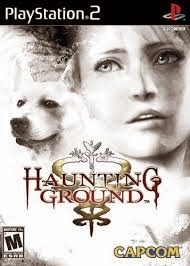 I played a couple of games like Clock Tower and Haunting Ground. I did not enjoy having to hide in closets and only getting to fight when it was decided otherwise you had to run and hide until the danger was gone. That was too much survival. 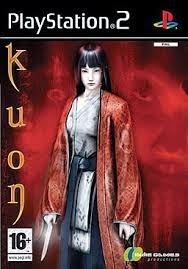 I did stumble upon the game, Kuon, which was very enjoyable and felt like I stumbled into a Japanese Horror movie. It was done well but then I picked up Cursed Mountain and that just gave me headache. Next I played Resident Evil 5 which felt like zombies with guns. 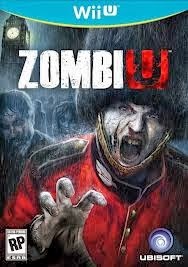 I was highly disappointed and felt like many of these Left 4 Dead type games which are fun to play but are just pointless kills of zombies. I need survival with my horror games. It seems like a lot of survival horror is just first person shooters with zombies. 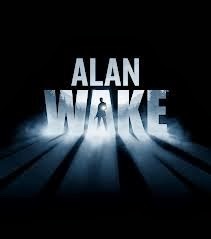 I loved play Alan Wake. That was perfectly done and scared the crap out of me. I picked up a Wii U and picked up ZombiU. This game brought back my love of survival horror as well and while many people complained because when it comes down to it, the game was not another first person shooter with zombies, it was more and I appreciated that. I continue to hope for a survival horror game that makes me feel like Resident Evil did, but until then I will keep playing what I can and hope for the best. Let me end it on this, enough of the first person shooters with zombies, give me a game that makes me think. ZombiU was cool. It took the genre back to what it was supposed to be rather than an action game with an unlimited supply of bullets.